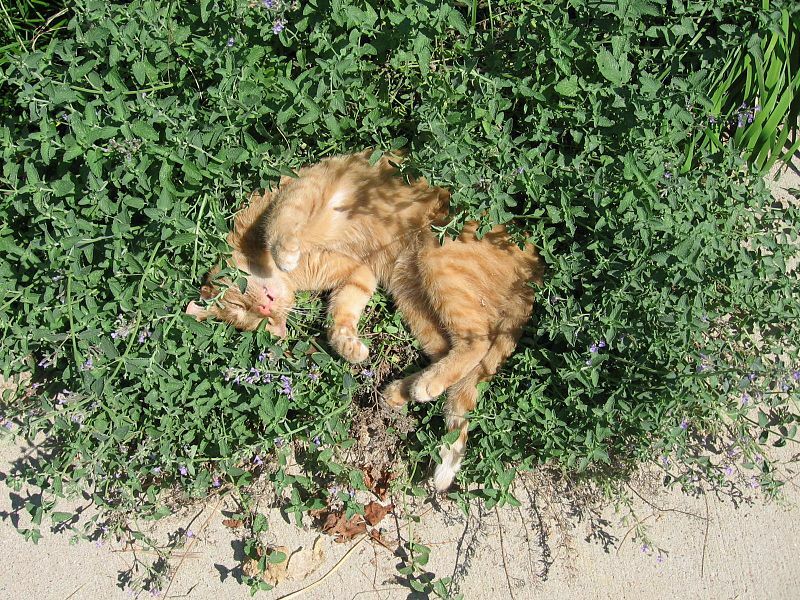 Catnip: almost everyone knows about this magical mint-relative that has a powerful effect on approximately 60% of cats. Rolling, rubbing, drooling, and chewing are just a few of the responses your cat might have to catnip. But most folks, including veterinary professionals, aren’t aware that there are other plants that have a similar, usually positive, effect on our kitties. A new study with a long title, Responsiveness of cats (Felidae) to silver vine (Actinidia polygama), Tatarian honeysuckle (Lonicera tatarica), valerian (Valeriana officinalis) and catnip (Nepeta cataria), took an in-depth look at how these catnip alternatives, such as silver vine or Tatarian honeysuckle rank next to been-there, done-that catnip. IT'S OPEN ACCESS!!!! Lead author Sebastiaan Bol was kind enough to answer some of my questions about their work. The investigators tested the effects of catnip and the three alternative substances on cats in a sanctuary, a shelter, and a veterinary office. Not wanting other felines to feel left out, they also looked at whether tigers and bobcats would indulge. Posted in cats. Tags: cat enrichment, catnip, eufloria, honeysuckle, olfactory enrichment, Sebastiaan Bol, silver vine, valerian on March 16, 2017 by Mikel Delgado.